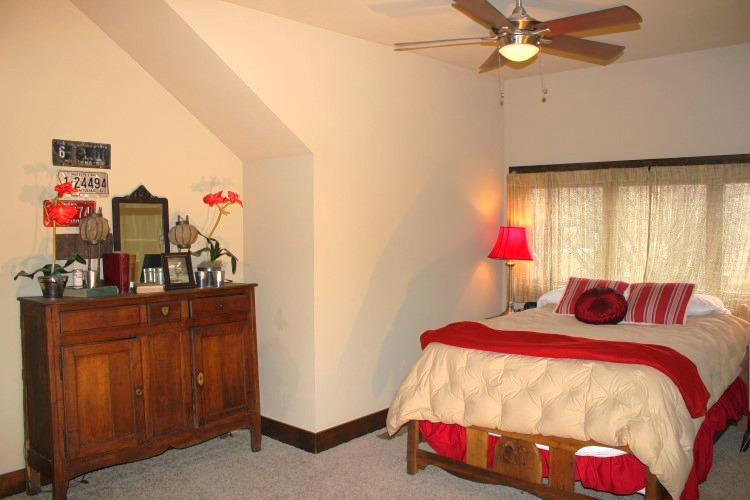 Spitehill sits on the second floor of the main house and is comprised of a full size bed and a twin size bed which is perfect for a couple or the guest that no one looks forward to bunking with. 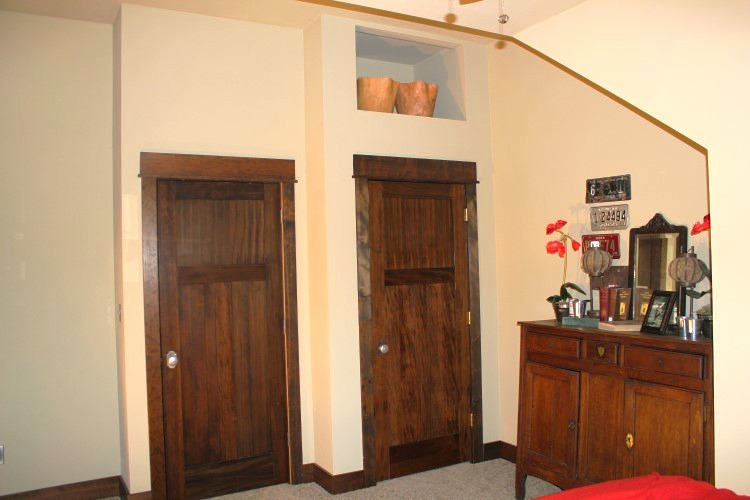 Equipped with a western exposed window, ceiling fan, full closet and drawer system. Very quiet, quaint and perfect for anyone requiring a good night's sleep after a day on the river. Just down the hall you will have easy access to the flatscreen TV system which will include Hi-Fi surround system, DVD player and memory stick options to view your photos from whatever adventure you went on that day! 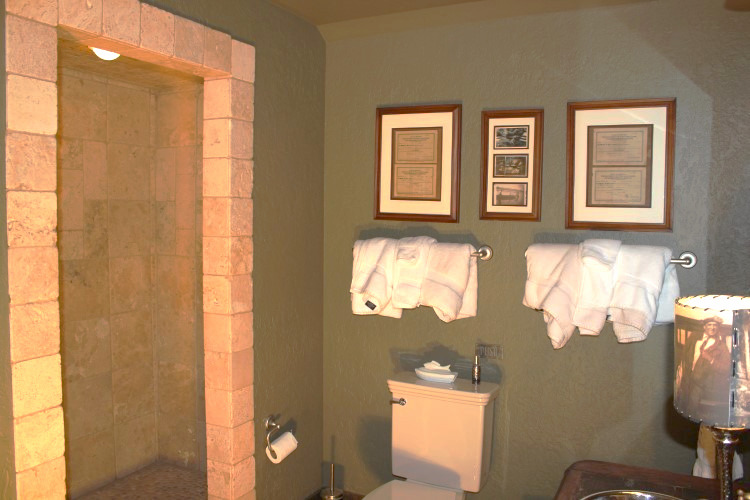 The upstairs bathroom that services the Spitehill room has a two person travertine shower with travertine floors. 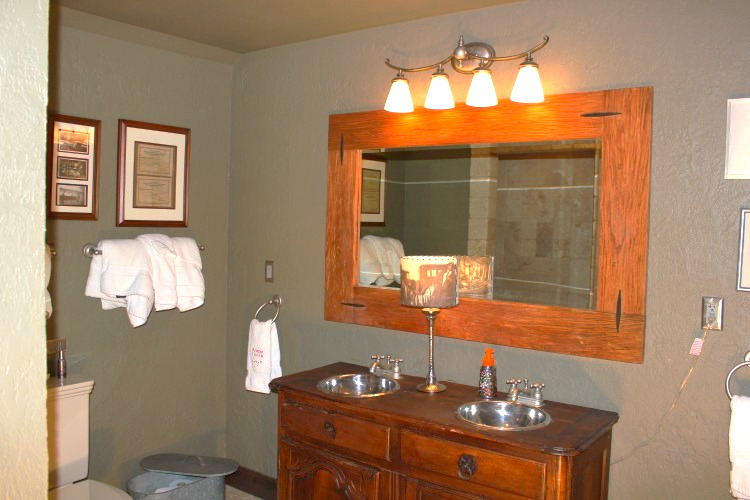 An 18th century antique inset with double sinks and designer accents fill out the bathroom ensuring lots of comfort and beautiful amenities. 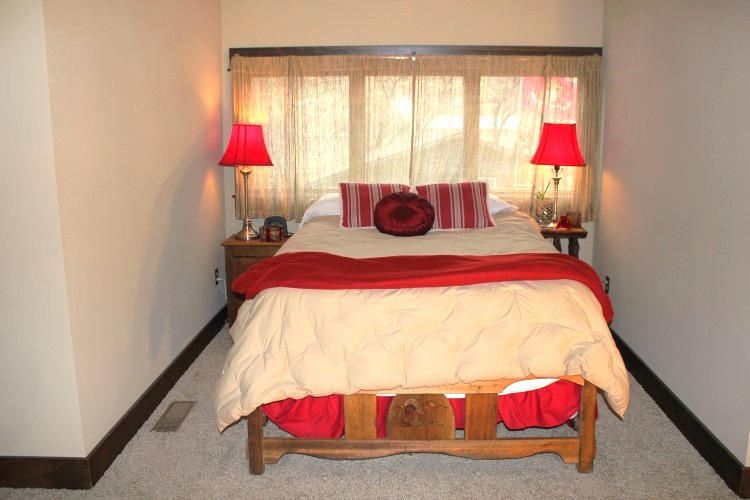 From the balcony you can view most of the first floor of Flatwater Lodge along with views of the Missouri River!